Summer Vacation Getaways? Yes, please! Hollywood Beach is a classic South Florida beach town that’s enchanted visitors since the 1920s. Evening strollers, morning joggers, bicyclists and roller-bladers share the brick paved, beachfront thoroughfare with those enjoying the many cafes and bars along the way. Whether you’re looking for an exciting place to discover new adventures, celebrate with friends and family or indulge in a relaxing getaway, this is where you can raise a glass and take a bite out of paradise. Everything you’ll need is waiting for you at Destination Paradise, including a $50 a day resort credit and a Kids Eat Free offer you won’t want to miss! * Get the details and book now! *Resort credit cannot be redeemed for resort fee, beach rentals, room taxes, or any retail purchases. Unused credits are forfeited and will not be applied to room rate, taxes, or fees. Resort credits have no cash value. Kids Eat Free applicable if accompanied by a full-paying adult consuming breakfast, lunch, or dinner at Margaritaville restaurant. Children must be 11 or under. Offer subject to availability. Blackout dates and other restrictions may apply. Summer Season of Fun is Here! There’s so much to love about summer, especially when you are on the sugar white sands of the Margaritaville Beach Hotel. Leave your shoes behind and get comfy in a hammock overlooking the blue-green waters of the Emerald Coast. Bring your little explorers and join an adventure activity with something new and exciting every day. Experience award-winning cuisine, or just sip your way to the best vacation ever. Escape to paradise this summer at Margaritaville Beach Hotel, no passport required! Book your stay. Join us at the Margaritaville Island Hotel for a relaxing getaway! Escape the everyday with our summer stay packages, and Margaritaville’s first St. Somewhere Spa. Stay, play, and relax with us! Chill out with one of these 90 Minute Body Treatments, and return home with an Island tan! *Free Spray Tan and Summer Romance Package offers valid only at the Margaritaville Island Hotel in Pigeon Forge, TN, and may end at any time. See hotel for details. 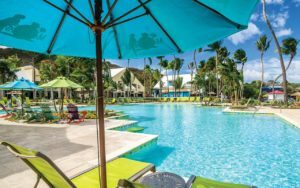 Margaritaville Vacation Club® by Wyndham is your homeport for a lifetime of tropical island experiences. Prepare to kick off your flip-flops, settle in with your favorite boat drink and enjoy the sweet salty breeze as the sun sets on another spectacular day. Let the FIN begin! Enjoy a perfect margarita and a Cheeseburger in Paradise on the first-ever Jimmy Buffett’s Margaritaville at Sea, exclusively on Norwegian Escape. 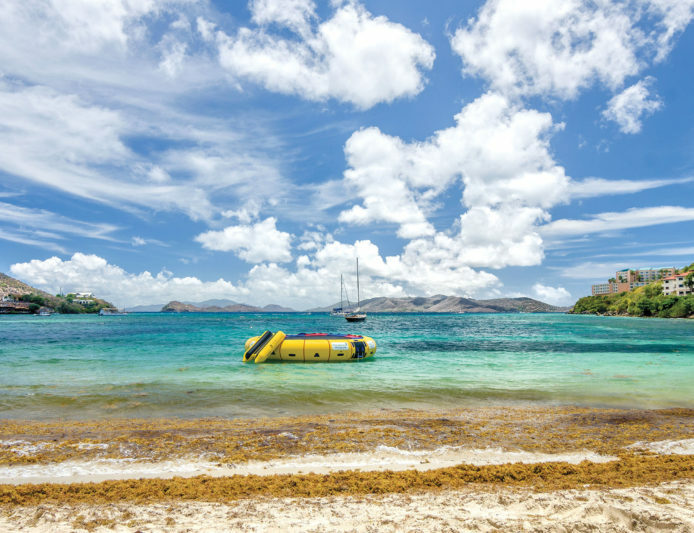 Come along on our 7-Day Eastern Caribbean Cruise, starting from $107 per day! Learn more.